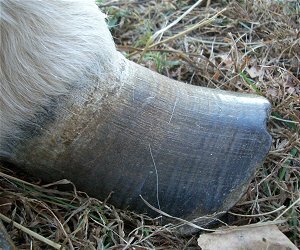 This is a picture of a foundered hoof. 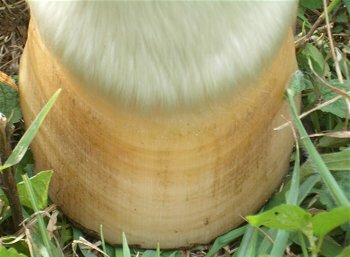 Ponies and horses can both founder when given to much grain or any kind of grain feed. They can even Founder when they eat to much rich grass. See how it grows out way to far. 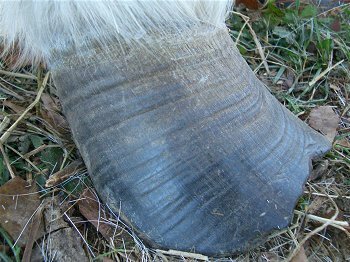 Not a good hoof. This is way to long. 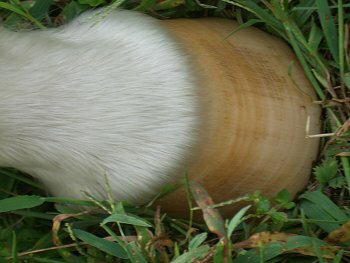 This is a normal hoof this is what they should look more like. 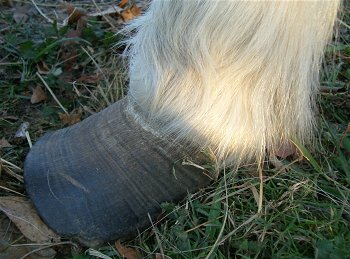 Good hoof. See not to long.